It was good to hear how well paramedics from the Singapore Civil Defence Force handled the situation when they attended to Finance Minister Heng Swee Keat, who collapsed in the Cabinet room earlier this month. According to Prime Minister Lee Hsien Loong's account, they responded coolly and professionally, even with the added stress of having the entire Cabinet present, including three medically trained ministers. That did not stop one of the paramedics, Staff Sergeant Janice Lee Yi Ping, from questioning Minister of State Janil Puthucheary, who was already resuscitating Mr Heng, about why he was not following the standard procedure. 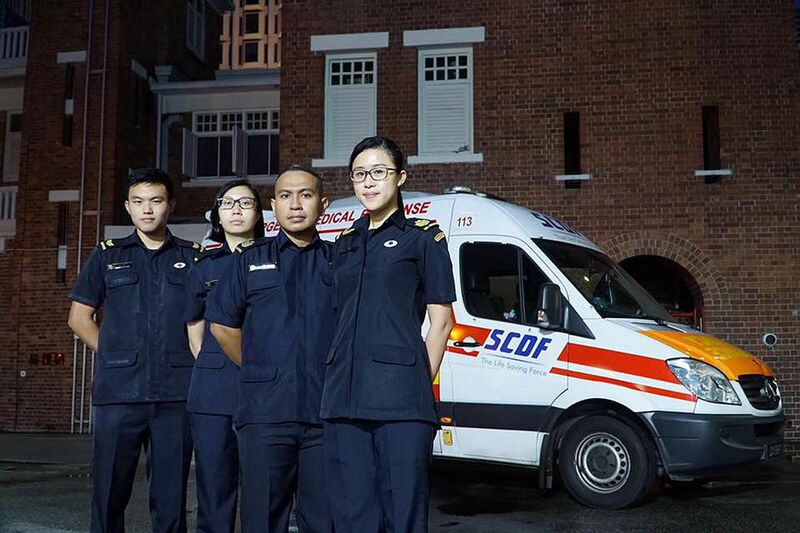 "Janice observed that Dr Janil was deviating from the paramedic SOP and appropriately asked him if he was bagging the patient too fast," PM Lee wrote in a letter to SCDF Commissioner Eric Yap, which Mr Lee later posted on Facebook. "Dr Janil shared his presumptive diagnosis and explained that he was hyper-ventilating the patient to relieve pressure on the brain and reduce the swelling... My colleagues and I observed how your team kept their cool and were in control throughout the incident, working as a team with Dr Janil." Singaporeans no longer fit into neat categories, drawn up by civil servants, defining who qualifies and who doesn't, for this or that scheme or benefit. In education, especially, it has become critically important to take into account the different learning abilities and interests of students. You could, of course, say that it is what they were trained to do and you wouldn't expect anything less from professionals on the scene. The team's response seemed particularly noteworthy because of the stereotype that Singapore is a top-down society with rules and regulations dictating every aspect of life here, and woe betide anyone who departs from them. This perception is so strong, it might have been what prompted Foreign Minister Vivian Balakrishnan, in a Facebook post, to write: "We appreciated SSG Janice Lee's willingness to question Janil. It shows that we are a society that doesn't allow protocol or rank to get in the way of performance." Is Singapore changing and becoming less hung up on rules, and more open to exceptions? I hope so because as the society becomes more complex and differentiated, a one-size-fits-all approach will not work. Singaporeans no longer fit into neat categories, drawn up by civil servants, defining who qualifies and who doesn't, for this or that scheme or benefit. In education, especially, it has become critically important to take into account the different learning abilities and interests of students. I was glad to read in this newspaper on Monday about how universities here now admit students not purely based on their academic results. It is called aptitude testing, which Acting Education Minister Ong Ye Kung described as an approach that looks at the complete person, including his interests, experiences, strengths and weaknesses, and not just his academic grades. Indeed, he raised this issue in his maiden speech in Parliament in January. According to him, it works better. In a study done by his ministry, polytechnic students admitted through aptitude testing performed significantly better than those who got in the traditional way. This is not surprising because these students had shown a greater interest in their chosen field of study - that's how they were selected in the first place - and so, are more committed to it. But it is harder to do, requiring someone to assess something as intangible as interest, and make a judgment on the candidate's suitability. It is much easier to go by his O-level results. Judgment is subjective, but when exercised correctly, it produces superior results, as the Ministry of Education study showed. The interesting question for Singapore is whether this applies to other areas besides education. Can public officers be given greater scope to exercise judgment instead of merely relying on a fixed set of criteria? I believe they can, and that the system should progressively move to one where discretion and judgment play a bigger role. There is one other important benefit from making this change. When you have to exercise judgment, it forces you to be clearer about the objectives you want to achieve. You have to be, otherwise those who have to make the decision will not know how to decide. For polytechnic admissions, they need to know what sort of students are best suited for which course. It requires the people involved in the decision-making to drill deeper - what sort of aptitude to look for, and how to tell apart one candidate from another? Over the years, as these admission officers gain experience, they should have a greater understanding about what makes for better students - and refine their methods accordingly. A system based on just examination results has none of this richness, and offers no prospect for further refinement, except to tweak the grading up or down. In the early days of Singapore's development, the use of simple quantitative criteria - incomes, examination grades, housing types, to name a few - might have worked in implementing policy. In fact, policymakers did not have a choice as they needed to act fast, and in a way the average person could understand. 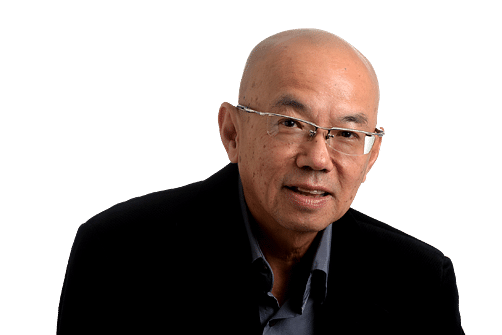 But over time, as Singapore society became more complex, it gave rise to the criticism that the system here, while very efficient, was also unforgiving whenever there was the slightest deviation from the norm. I hope what is being done in education can be applied in other areas - in public housing, healthcare or immigration, for example. •When deciding on permanent residency or citizenship, move away from merely looking at income or educational qualifications and place greater emphasis on aptitude and attitude. It requires those in charge to be clearer about what they desire from foreigners wanting to become citizens, how to assess commitment to the country as a place to call home and not just an economic base. •In helping local companies improve productivity with government grants, is it possible to exercise greater judgment, and give more help to those with the potential to do well because they are run by enlightened management able to motivate workers? •In healthcare, some subsidies, such as for kidney dialysis, are tied to income and house types, leaving some retirees in private homes, which they bought decades ago, having to pay full fees on limited savings. How about some discretion to allow for these and other cases that fall outside the rules? Making these changes means empowering public officers on the ground to exercise judgment. As the polytechnic experience has shown, it can produce superior results. Singapore is well placed to do it because it has a highly competent service that is free of the corruption that plagues administrations elsewhere. Dare the leadership take this leap of faith? That's a judgment call it has to make.